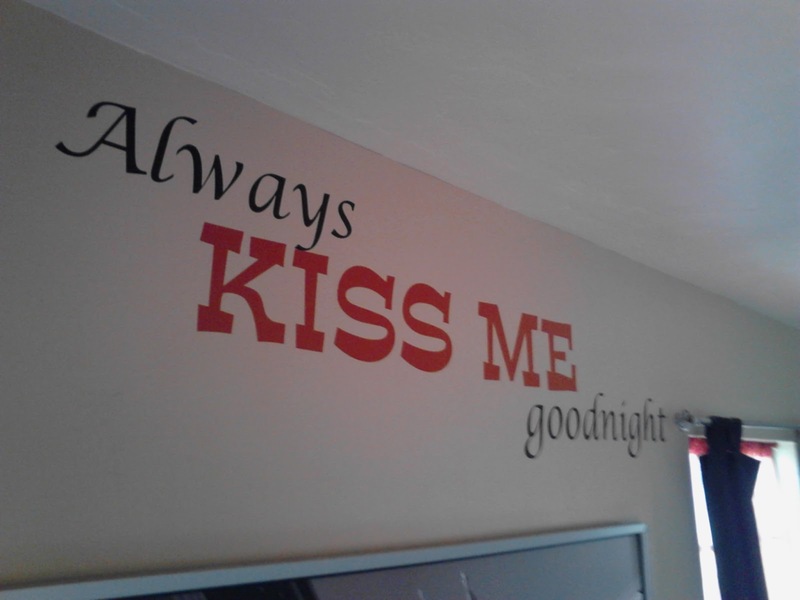 This is a two-color print of "Always KISS ME goodnight." 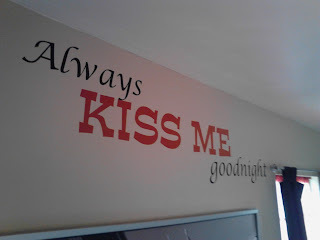 The KISS ME color is customizable, with "Always" and "goodnight" in black. This is a large piece, measuring approximately 5 feet from end to end.